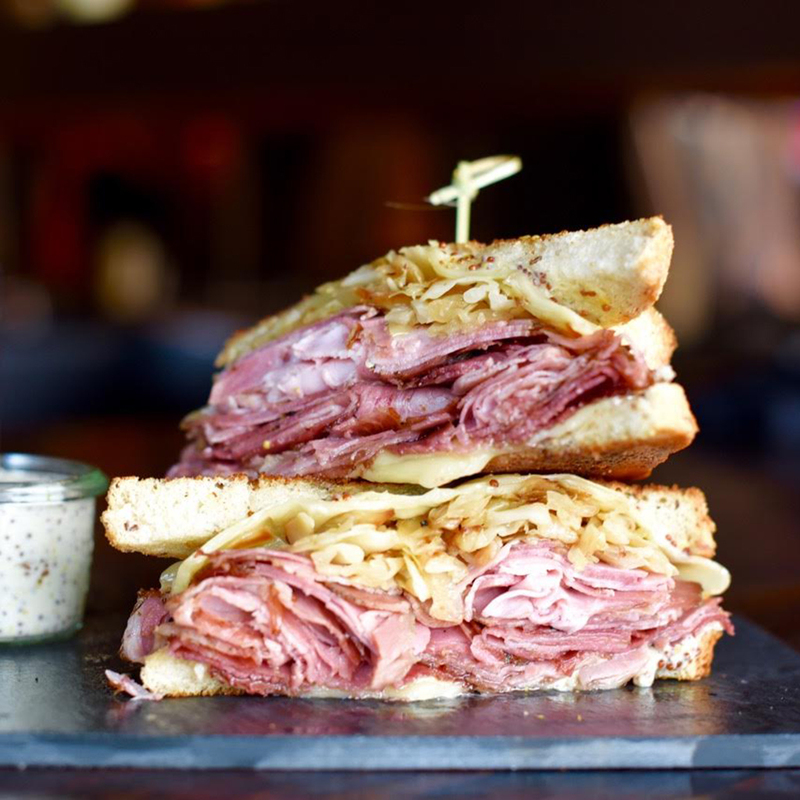 “Everyone likes a good sandwich,” says chef Brad Kraten of Saltbox in San Diego, “and pastrami is such a comfort staple.” But changed up the classic by adding pork into the mix. Pastrami is generally made from beef brisket, but Kraten’s version, made from pork shoulder, is a runaway hit. The bread: A traditional rye bread made in-house. The filling: Pork shoulder, smoked, then slow-roasted until tender; it goes on that rye bread with cabbage, Swiss, and housemade grain mustard aioli. “Our cabbage is quick pickled, creating a balance between slaw and sauerkraut. It’s not as fermented, and fresh tasting,” says Kraten. “The grain mustard-aioli has a more subtle bite than Dijon or hot mustard.